91 synthetic stones ivory-colored with color points and smooth edges, stone size: approx. 51 x 25 x 9 mm.
! 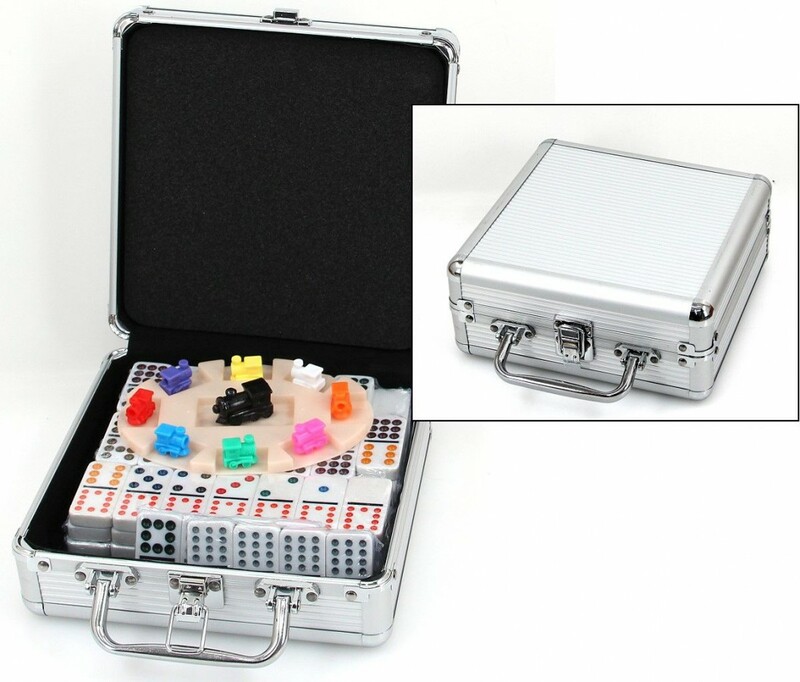 here in the 12/12 version with 91 dominoes, complete accessories and detailed user manual. 91 heavy ivory colored game pieces with colored dots. The different colors of the points facilitate the rapid recognize the individual stones. The stone size is approximately 51 x 25 x 10 mm. The stones are polished and have rounded corners. Oval train station with a central repository for the start marker and 8 holes for the trains. The Zustation has a size of 150 x 110 x 7 mm. 8 different colored locomotives. The locomotives have a size of 20 x 18 x 12 mm and are used for marking the trains. The included manual contains a four-page manual in German, English, French and Dutch. The game comes in a nice box in aluminum design. 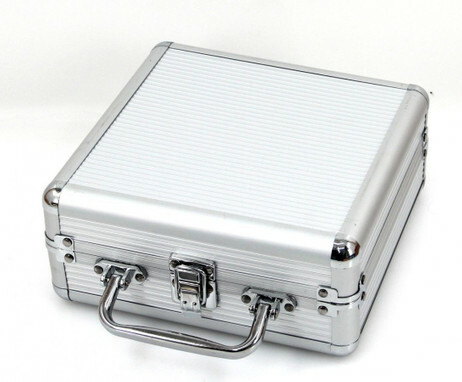 The box has a closure and a convenient carrying handle. In addition, a large black locomotive is still as supplied. 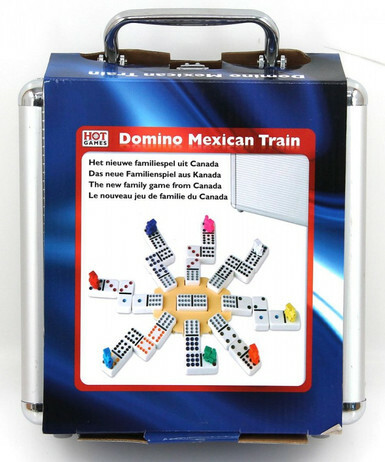 The locomotive is not needed for the games, but makes very good for decoration.